None of the following is particularly surprising, really... but it is intriguing. In their separate reports, the National Transportation Safety Board and the Brazilian Air Force cast blame for a September 2006 middair collision over the Amazon on different parties, which -- intentionally or not -- also fall down distinctly nationalistic lines. As ANN reported earlier this week, Brazilian officials placed much of the blame on the two American pilots of the Embraer Legacy 600 that collided with a Gol Airlines 737 on September 29, 2006. Air force investigators said those pilots inadvertently switched their transponder to standby mode... taking the plane off controllers' screens, and rendering the plane invisible to the TCAS system onboard the airliner. The planes collided nearly head-on along the same airway at FL370. The Legacy was able to make an emergency landing... but the Gol 737 spun into the forest, killing all 154 persons onboard. The Brazilian report specifically notes the Legacy's CVR recording an "exclamation" from copilot Jan Paladino within seconds of the impact, presumably upon the realization the transponder was in standby mode. After several seconds, Paladino said, "I'll do that, I got that," and the transponder was switched on, once again lighting up the plane on controllers' screens. Brazilian investigators also found the country's air traffic controllers shared a large percentage of blame for the crash, stating ATC failed to realize the Embraer was on a direct intercept course with the airliner, at a non-standard altitude for a northwesterly flight. But the tone of the report clearly indicates Brazilian officials feel had Paladino and captain Joseph Lepore been more cognizant of their surroundings, and more familiar with their airplane, the collision would not have happened. That differs significantly from the NTSB's take on the accident, issued Wednesday concurrently with the Brazilian findings. In its 282-page report on the accident -- parts of which are redacted -- the American safety body says Brazilian controllers shoulder nearly all of the responsibility for the accident, as they issued both aircraft "clearances which directed them to operate in opposite directions on the same airway at the same altitude resulting in a midair collision. "The loss of effective air traffic control was not the result of a single error, but a combination of numerous individual and institutional air traffic control factors, which reflected systematic shortcomings in emphasis on positive air traffic control concepts," the Board concluded. The NTSB noted the non-operating transponder as a contributing factor to the crash, and issued a recommendation that louder, more noticeable alert systems be installed onboard commercial aircraft, to warn pilots when transponders are inactive. The Legacy's Honeywell-built system only issued a small warning message on the plane's crew alerting system, which was apparently ignored. 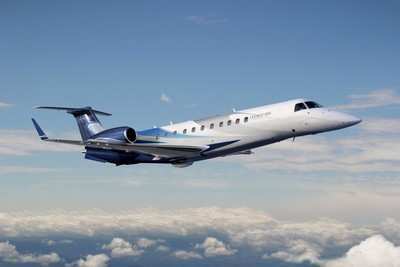 David Rimmer is executive vice-president of US-based ExcelAire, the company that employed Lepore and Paladino to deliver their new Legacy 600. He was onboard the bizjet when it collided with the Gol 737... and told Newsday that Brazilian investigators took "the easy way out" on purpose. "I was on the airplane, so it's a personal thing for me," he said. "Brazilian air traffic control pointed two aircraft at each other for an hour . . . Brazil's report is a cover-up of Brazilian air traffic control's systemic problems." Nationalistic interests aside, there's little dispute about the serious deficiencies that exist among Brazil's ATC network, including spotty radar coverage and labor issues among the workforce, which is comprised of air force personnel. 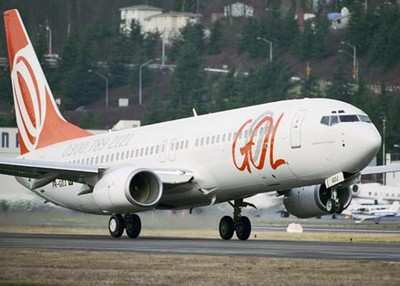 In late October 2006 -- one month after the Gol tragedy -- air traffic controllers launched a work-to-rule campaign, deliberately slowing operations, due to concerns about working conditions and new safety procedures implemented as a result of the mid-air collision. Controllers struck their jobs outright in March this year, bringing the nation's air travel network to a halt for several days. Lepore and Paladino were detained in a Rio de Janeiro hotel for over two months following the accident. They were allowed to leave Brazil in December 2006, but not before being charged by police for "endangering air safety." Though a Brazilian judge absolved both men of any charges of negligence, they still face endangerment charges if they ever return to Brazil.